Are you interested in Gilbert, Arizona? Once known as the “Hay Shipping Capital of the World,” Gilbert, Arizona has evolved into one of the fastest growing communities and the largest town in the United States. Encompassing 72.6 square miles, just southeast of Phoenix, Gilbert has transformed from an agricultural community to a thriving and economically-diverse suburban community. Also, as opposed to cluttering the page with links about Gilbert, we have also included a link to the Chamber of Commerce of the City of Gilbert for those who are moving from outside the community and would like more information about this wonderful and diverse community. 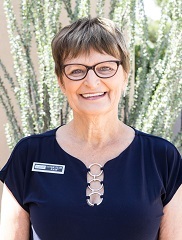 New Traditions Realty, Gilbert Arizona, MLS Real Estate Listings including, Queen Creek, Chandler, Sun Lakes and More!